LOS ANGELES, February 16, 2016 – A formal complaint has been issued under the California Uniform Complaint Procedure (“UCP”) urging the California Department of Education to conduct a full investigation into the financial practices of the Magnolia Public Schools charter school network, which currently operates 11 active charter schools in California. The UCP Complaint – brought by the law firm Amsterdam & Partners LLP, in conjunction with interested California taxpayers Dr. José Moreno and Tina Andres – notes that a 2015 audit conducted by the California State Auditor discovered widespread accounting impropriety and raised numerous other important questions about Magnolia’s financial practices. 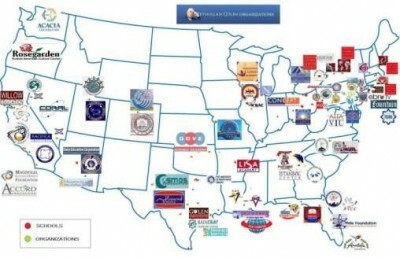 Notable among them is Magnolia’s connection to the global organization of charter schools and businesses headed by Turkish national Fethullah Gülen, a reclusive Islamic cleric who resides in Saylorsburg, Pennsylvania. Magnolia has submitted multiple new charter school applications valued at more than $48 million each. The UCP Complaint asserts that the volume of negative findings of the California State Auditor from a mere sampling of Magnolia’s transactions and vendor agreements should have spurred a comprehensive investigation into the Magnolia charter school network, and that the State of California owes a fiduciary duty to California taxpayers to probe further. Dr. José Moreno is an Associate Professor and Chair of the Department of Chicano & Latino Studies at California State University, Long Beach, and a former President of the Board of Education for the Anaheim City School District. He has four children currently attending public schools in Anaheim, where Magnolia is seeking to expand. Tina Andres is a veteran public school teacher in the Santa Ana Unified School District, which hosts a Magnolia school. She has two children attending public schools in the district, one of which is a charter school. Amsterdam & Partners LLP – an international law firm with offices in London and Washington, DC – acts for the Republic of Turkey, and is conducting a global investigation into the alleged illegal activities of the Gülen Organization. Additional information about Amsterdam & Partners LLP is available at www.amsterdamandpartners.com.